An expanded comparison series for tablet brands you never heard of. Here we look at the brand of Android 4.0 tablets by Ematic for the 2012 Christmas or “holiday” season (whatever they call it these days). Ematic is also known as Ematic XO Vision and you may see the tablets themselves labeled as XO Vision, so don’t be confused. This article is now updated to compare the complete Ematic line of tablets, not just the new Android 4.0 versions, featuring a completely tabular comparison chart of all 19 tablets. Solid Tip: Listing specs can be a pain! Even Ematic’s own website has errors in their specs or missing specs. I have triple-checked this table for the best possible accuracy (I obviously don’t have 19 Ematic tablets laying around). You will see the newer Android 4.0 versions in stores this 2012 holiday season. Watch out for the older models of Ematic tablets floating around, especially on internet sites. They might be cheaper, but have older 2.x versions of Android. The following table is ordered by screen size (in inches) and compares Android version, CPU, RAM, storage, display, camera, and HDMI output. Also included are model numbers to help you identify the ones you are considering. For more information about these features, see the SolidlyStated Android tablet buying guide. A plus sign next to CPU indicates the tablet has its own dedicated GPU chip (graphics processor) also. It is between 300-500 MHz on those that have them. Difference Between Ematic eGlide Pro X and EXP8? If you are looking closely, the hardware of the eGlide Pro X and EXP8 models are identical. There really is no difference, other than how they put it together. The locations of the connectors and the camera vary, that is all. What is the Ematic eGlide PRIMA? At first I thought this was a mis-labeled eGlide Pro 2, because Amazon was shipping the Pro 2 under a listing for the Prima. Maybe some sort of regional difference with a different name in another country. However, the Prima, which apparently does actually exist, supposedly is “Google Certified”, has a 1.2 GHz CPU, and is an Android 4.0 tablet (and I watched the promo video on it showing that). I would be vary wary of attempting to buy this. If you actually got the model advertised, it might not even be the right language. Office suite allows you to view .DOC, .PDF, .PPT, and .XLS files. Ematic has produced 19 different tablets for Android, along with E-readers and music players. According to Ematic XO Vision, they are the top selling audio brand on Walmart.com and BestBuy.com. 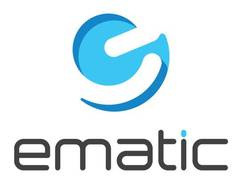 For more info on the brand and their other product lines, check out their website at http://www.ematic.us. OK? Good, because there will be plenty more. Tablets are popular. People have questions. I answer popular questions. Simple as that.